Living a frugal life simply means financially managing with what you have, and it’s not just about paying bills and spending the rest on expenses. While you may look at individuals around you and assume that you’re doing pretty well compared to them, without proper planning, good spending habits, and organization, you may find that you’re wasting too much resources than all of them. It doesn’t matter the number of millions you’re making each month or how much you don’t have. What really matters is what happens to that amount. It’s not surprising to find people who earn less than you doing great stuff with their capital than you. It all goes back to organization, lack of proper organizational skills can significantly harm your finances. The situation is worse if you have a partner who cannot keep track of your financial records. In a situation where you’re considering to get married, proper financial preparations are paramount. A lot of psychologists may not tell you that a happy marriage isn’t just about keeping love alive but keeping a financially stable relationship. Well, it’s sensible to keep romance the central point of the marriage but what happens when you run broke? When you start piling debts and several unpaid bills? There’s definitely no happiness in that, and that’s why you need to read the below tips on how to organize your finances with your significant other. Once you get married, you’re no longer single but your partner’s property. Everything you do should be incorporated with his or hers. Remember you are two very dynamic people with different habits, strengths, backgrounds, and weaknesses, but one crucial aspect that brings both individuals together is “money.” As a woman, your money is no longer your own, but the whole family’s. As such, you may find that your partner is a crazy spender while you’re an avid saver. Such a situation might prompt you to help your partner spend sparingly, or wise sit down together and decide how you and your spouse will manage your finances. It also won’t hurt if you choose to chip in when your significant other is experiencing a financialshortage. Creating a joint bank account can be a brilliant way of managing your finances together. The account could settle bills and home expenditure while individual accounts could be utilized on personal spending like a night out with friends, or getting that dream handbag you saw online. Once you’re accustomed to “our money” concept, the next step is budgeting. If you used to do it solo long before you got married, you would find this idea quite straightforward and probably obvious. Creating a family budget, however, is entirely different from an individual budget. Here, its not how much money you will spend on nightclubs, but finances that you would save for the household expenses, kids’ health insurances and mortgages. Like we mentioned earlier, your spouse may have a completely different spending habit from you, which cannot stop us from speculating or wondering whether there could be possibilities of them bringing liabilities or debts into the home. 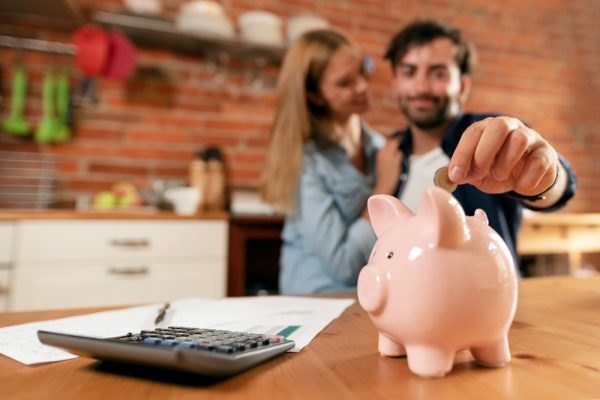 A budget will not only go a long way towards keeping your lifestyle in check but also contribute heavily towards the financial stability and success of your marriage. A realistic budget is about strategizing and keeping in mind some of the long and short-term expenses. Keep records of what you did or spent on every month. Stick to it and keep updating it when needed. If you have plans on investing, it is most advisable to diversify your resources by allocating your money into several financial industries. Doing that could help mitigate the investment risk, whereby if one does not grow its returns the other one will. Both of you could create an investment portfolio based on your risk tolerance and preferences. When budgeting and setting up investments, there must be a prime reason why you’re doing this—or else you could just let the money lie in the bank instead of taking risks. In fact, this tip should come before all the others as it jumpstarts the whole idea. As a family or couple with serious financial goals, it’s essential to determine what you wish to accomplish. Whether you want to save for your unborn child’s future, retirement, a home, car, vacation or your children’s college fees, the goal is what motivates and drives the two of you into creating more and more budgets in order to hit the target or accomplish goals. Many couples rarely talk about finances, in fact, many of them do not know what their partners earn. Most women assume that it’s the man to take care of all the financial matters of the home. If you intend to get married soon or recently got married, then you probably know the relevance of communication. The same way you mind telling your significant other where you’re going is the same way you’re supposed to tell about your finances. You need to be honest and frequently start up conversations about money; you can do it weekly or bi-weekly. It will ease the burden of talking about your future goals and plans like where you would like to go for vacations, how many kids you would like to have, what type of car or house you would like to live in and much more. Your partner, on the other hand, will appreciate to know your goals and eventually want to join in to make them come true. Both of you can talk about your differences and can come up with a well-established list of the things you would wish to do and how you would do it. Short-term vs. Long-term Investments, Which is Better?